Featuring over 75 newly acquired oil and watercolor paintings, gouaches and etchings. Artists included in this exhibition include the following: Harry Aitken, Mathias Alten, Reynolds Beal, Johann Berthelsen, William Mason Brown, Andrew Bunner, Antonio Cirino, George Debereiner, Robert Decker, Michael Dumas, Walter Farndon, Henry Farny, Jacob Fischer, Alexis Jean Fournier, Johnny Gotthard Friedlaender, Andre Gisson, Emile Gruppe, John Hauser, Morris Hobbs, Harry L. Hoffman, James R. Hopkins, Whitney Hubbard, Lynn Bogue Hunt, William R. Leigh, Richard Hayley Lever, Thomas C. Lindsay, Fernand Lungren, Samuel McCrea, Lewis Henry Meakin, Carl Peters, George Picknell, John Reilly, Martin Rettig, Gary Schildt, Anthony Thieme, Marcel Vertes, Edward C. Volkert, Frederick Waugh, Bessie Wessel, James Abbott McNeill Whistler, Carl Wuttke, Alexander Helwig Wyant and others. The exhibition continues through Friday January 18th, 2019. Please join us Friday, November 30th from 5 pm to 8 pm for a special opening featuring paintings by artists of Cincinnati’s Golden Age. This Panorama of Cincinnati Art is a benefit for the Taft Museum. Opening night ticket sales as well as 5% of all painting sales from the month of December will go to benefit the Taft Museum. 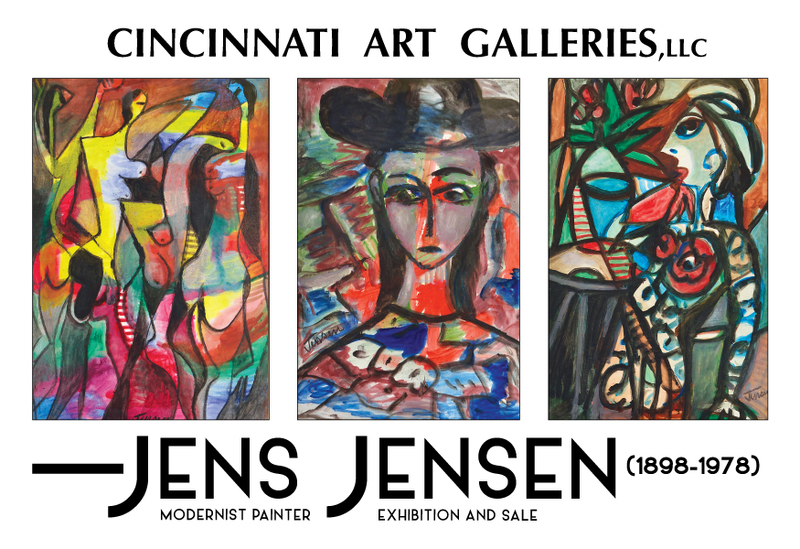 Paintings by Cincinnati artists from the turn of the century as well as a select group of contemporary Cincinnati artists will be for sale. David Hausrath is committed to benefitting local arts organizations through his gallery's annual Panorama of Cincinnati Art. This will be the 33rd year for the Panorama, which has raised over $750,000 in donations benefiting such organizations as the Cincinnati Art Museum, the Taft Museum of Art, the School for Creative and Performing Arts, the Cincinnati Ballet, the Cincinnati Museum Center, Cincinnati Opera and the Cincinnati Symphony Orchestra. period. Several original paintings will be offered as well. Fong Chung-Ray , Wou-ki Zao and others. You are invited to stroll the gallery with Mark while he discusses his art and painting process. 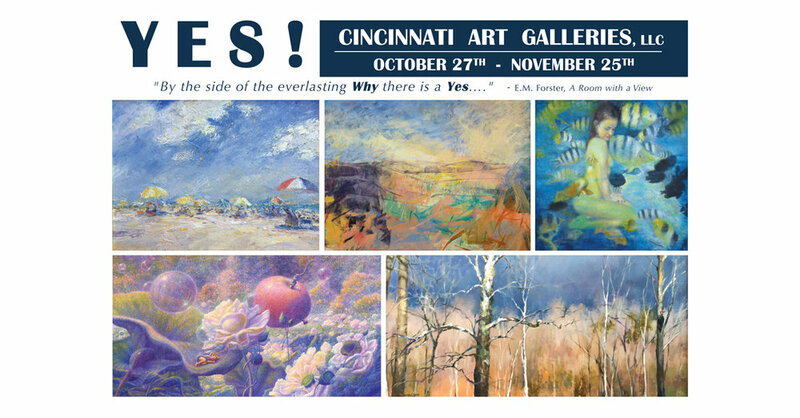 Please join us to view over 40 paintings by Cincinnati artist Wolfgang A. Ritschel and enjoy his figurative-expressionist painting style and use of vibrant colors through his depictions of Cincinnati, the Southwest and European scenes. "By the side of the everlasting Why there is a Yes…." Daniel will explain the curatorial conceptual framework behind the exhibition "The Return to Beauty - Asian Influences on Contemporary Landscape Art"
Daniel Brown is a widely published art critic, currently writing regularly for The Artist's Magazine. He has written catalogs, essays, art reviews and art journalism since 1973. He has collected contemporary art since 1968, and is listed in Who's Who in America and Who's Who in American Art. Daniel Brown assumed the role of editor of ÆQAI in July of 2010. Artists with work in this exhibition will be present to answer questions following the talk.